1) What is Obereg Jewelry? 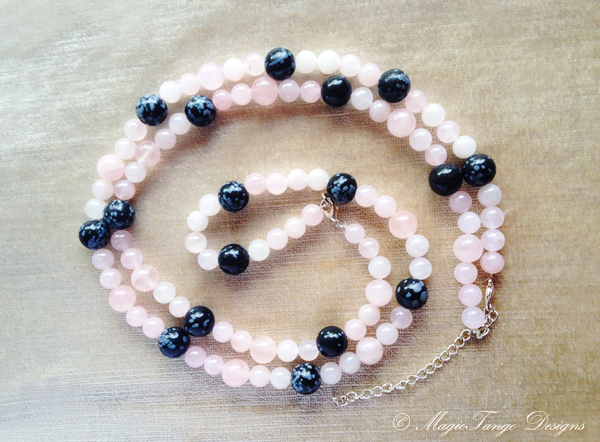 Necklaces & Bracelets with crystals & gemstones have been known for centuries as healing talisman / amulet jewelry. By various theories necklaces and prayer beads made of 108 beads are considered the most powerful ones. There is a particular word in Russia - "obereg" which means a handmade item which protects and helps the owner. In older times people would pass such oberegs through generations, including crystals and jewelry with gemstones. Obereg necklaces are usually made of 108 beads with the mininum use of metal (unless it is specifically suitable for the request as metals also can affect people in a different way). There is something mystic and magic about the number of 108. which has been used since ancient times by Buddhist monks in prayers. *** However because some people like wearing shorter necklaces more and lighter in weight, obereg necklaces can be also less than 108 beads. Obereg transformer necklaces - consists of a necklace and a bracelet which could be connected together as well to get a 108-bead obereg necklace (see some examples on the pictures on the left). Obereg Bracelets - can be 1 layer or wrap-around bracelets. 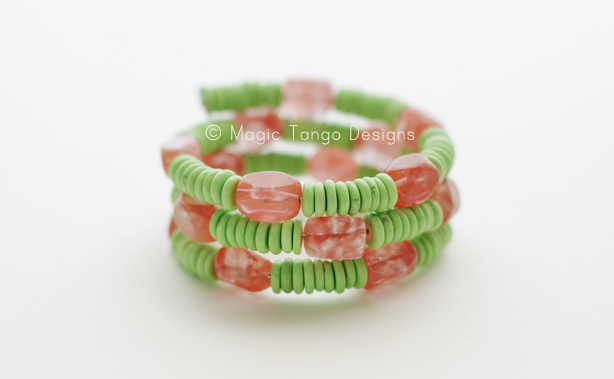 we can also include 108 beads into 2 bracelets to wear on both hands for amplified effect. Obereg Prayer Beads - good for men and women, usually a combination of specially selected crystal beads with a small tussel attached. Obereg Belts - belts are recommended especially when you would like to affect lower chakras, For example, there could be "pregnancy belts", used to boost the feminine system to raise the chance of getting pregnant, or "grounding belts", used by people to help ground yourself more. 2) Can any jewelry with crystals be considered Obereg Jewelry? I would say that some jewelry with gemstones and crystals can affect positively particular people when it's chosen appropriately and used with consciousnesses, as well as cleansed on regular basis. The Obereg Jewelry that I am offering is made with love and good energy, and I prefer custom orders as it allows to make sure we choose together with the customer something that can help most to him/her or to the person who receives the gift. Different Obereg Necklaces or Bracelets might be recommended in different situations (unless you are attracted mostly to the aesthetic element, however it would not hurt to double check it those are really the stones you might benefit from). 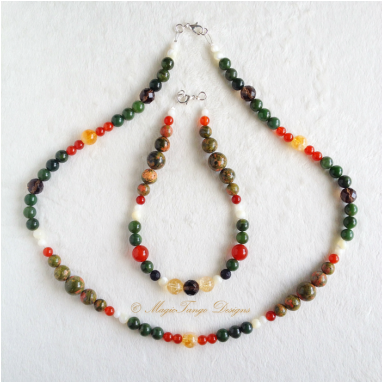 Obereg Necklaces from 108 beads usually have the strongest impact on the owner. Crystals and gemstones are mindfully selected for a particular customer, analyzing the name and birth date of the future owner of the necklace/ bracelet with the help of numerology and astrology knowledge that I've got, as well taking into account some personal request of the customer and connection to crystals and gemstones and some other factors. NB: When ordering an obereg necklace or bracelet as a gift, one has to provide the date of birth and full name of the person who will get the gift. As well as some general information might be helpful (description of character etc, or any personal thoughts on what that person might need in terms of healing effect in that current time or near future). 3) Does is matter what shape and size the beads are? Yes it does! and often a lot. As the energy and effect of particular crystals can be balanced by choosing the ones which complements. In some cases subtle and softer effect might of a particular stone might be better than a stronger one. 4) How long does it takes to get the Obereg Necklace or Bracelet ready and shipped? Time of production varies depending on how long the process of finalizing the ingredients takes and whether all required materials are in stock or have to be ordered. I would say, that on average it might take from 2-3 days up to 2-3 weeks plus the shipping, which depends on the country. In some cases it might be faster or longer. 5) Is there any difference how to wear Obereg Jewelry? From ancient centuries people have been using crystals and jewelry with gemstones for healing purposes. It is considered that well-made and well chosen jewelry with gemstones and crystals when worn close to the skin, can most likely have a positive healing effect on the owner. Because they emit energy and also absorb energies from the owner and from other people, space around, transforming them and giving back which affects people. It is crucial to CLEANSE jewelry on regular basis, recharge crystals / gemstones to increase the healing properties, as well as it is of course good to take care of your energy field and health overall using various techniques, meditation with crystals is one of them. Effective especially if made of round beads, of various sizes, with minimum metal to let the energy of crystals be emphasized, often used as a combination of a few types of gemstones, allowing to balance the right healing effect depending on request of the customer. OBEREG NECKLACE and BRACELET can be worn during the day at work or at home, and also used for meditations and healing sessions. It is first of all your PERSONAL RESOURCE and can be an item cherished for years. Here you can ORDER a custom-made jewelry piece with crystals. Please, fill out the form as much as you can and you will get a free consultation to discuss the order if more information is needed. Different orders can take various time frame, on average from 7 days to up to 4 weeks, depending on availability of the stones and to ensure that the all gemstones/ crystals are cleansed and charge with healing energy. Reiki is also used to amplify the effect of "obereg" jewelry. 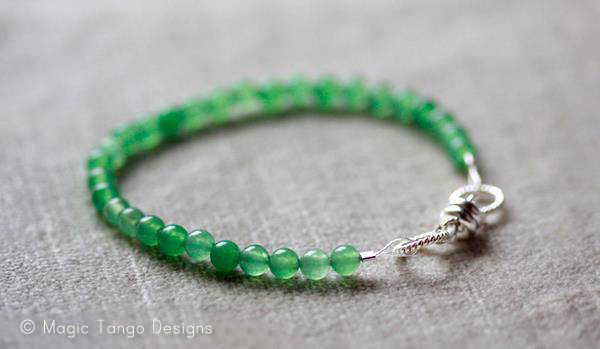 ﻿To make a CUSTOM ORDER necklace or bracelet or a set of obereg jewelry, please submit a description, who is it for, please mention the name and date of birth of the person (each person in case of multiple orders). What are the major requests in terms of effects (we will also discuss it more in details later, what would be best to make it an effective and well-balanced obereg piece). What is the price range of Obereg Jewellery and prayer beads? The price of the Oberegs depend on a few factors, what type of stones are used, size of the beads, their type (e.g. faceted or sound smooth, etc), type of clasps and findings, as well as production time and other related expenses. - Short necklaces can range from about $55 to $250+ (around $75 - 150 on average unless very expensive gemstones/ crystals are used). - Bracelets cost on average from $35 to $125+ ($45 - $95 on average) depending on the types of crystals and gemstones used, their size and how many coils are in the bracelet.